When I go into the server, I Get the Race Monitor screen, Except, there is no one shown in the Standings section, there is nothing int he Chat box, the Replay screen is blank and there is no Race button to go onto the track, it's just black. If I click any of the buttons at the top, they take me where they're supposed to go and have all the proper info, However, when I go into the garage, EVERYTHING is greyed out and at zero. My initial thought was the track, so I removed EVERY Silverstone I had except for the version I downloaded for the race, same results. So I re-downloaded the mod and installed it, same result, I then removed every piece of the Mod and re-installed it, same thing. I'm at a loss for why it's doing this, especially considering everything works fine offline. You wouldn't be in spectator mode by any chance? I'll check, but I shouldn't be I NEVER Spectate anything in rFactor. After Googling how to go INTO Spectator mode, I discovered I Was indeed in Specate Mode. How the Bloody Hell it got that way is beyond me though, but it works now. thanks Juha! You're welcome. It was a common problem in the WEC championship, it caught me out too. I guess I never realized . . . . 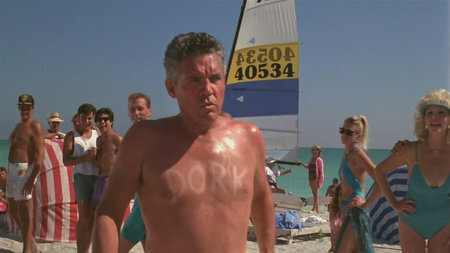 There is no smiley for "Dork". # 22 s'il vous plait ? I must go for a business trip to Germany and sadly, i'm expected at the office on Monday morning. It means that i need to drive to DE on Sunday afternoon/evening, thus i can't race on Sunday. May I please drive the #1 (#340 in game)? right so i'm going to test the cars that are left quickly. Can I switch to the #3 please? If not, that's cool.